The first option is to reach out to the Administrator directly and request that they create an account for you. 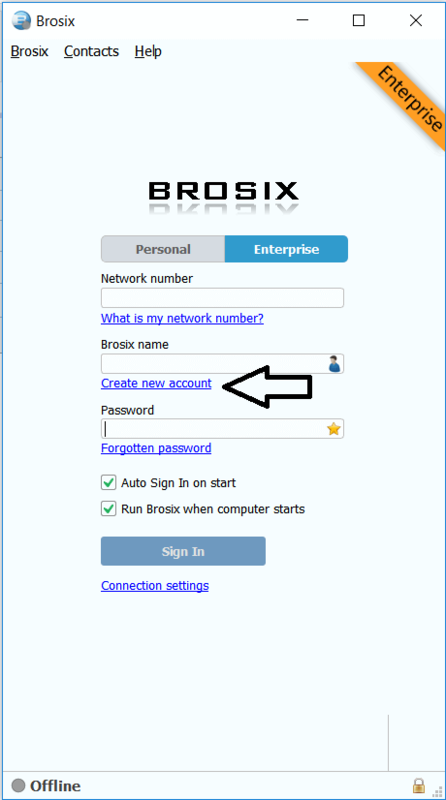 After the administrator creates your account, Brosix will notify you via email and provide you with your login information. Please install the Brosix application on your computer and fill in the requested information in order to sign in. The other option to create an account is directly through the link in the Brosix application. Simply enter your network number and click on ‘Create a new Account.’ This option is possible only if the Administrator has approved it for their network ahead of time.